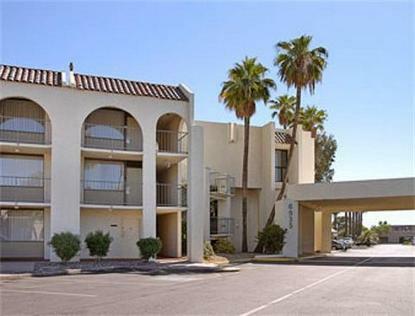 The Ramada Limited Scottsdale hotel provides affordable lodging in the heart of the Scottsdale Gallery and Entertainment District. Although our guests also enjoy exploring Phoenix, Tempe, Chandler, Mesa and the entire Valley of the Sun, our Scottsdale location provides the greatest value and convenience for travelers who wish to experience Scottsdale, - THE WESTS MOST WESTERN TOWN -. Our Ramada hotel faces famous Scottsdale 5th Avenue, home to shops and galleries alike. We are an easy walk to literally dozens of restaurants, and Fashion Square Mall is less than a mile north of our hotel. If Major League Baseball Spring Training is your reason for traveling to us, we are 1.5 miles from Scottsdale Stadium, the Cactus League Home of the San Francisco Giants. Stroll to a game and window shop along the way, then stop by the world renowned Pink Pony, a baseball fan's landmark, for dinner and refreshments. Providing a great value in a traditionally expensive locale is our mission. Guests at the Ramada Limited Scottsdale enjoy complimentary continental breakfast and a free copy of USA Today. Many of our rooms allow you easy access to the interior courtyard and pool, where you can relax and refresh after a day of exploring the local shops and galleries. We also have a fitness center and guest laundry onsite, and there is elevator service to the upper floors. All rooms have refrigerator, free wireless high speed internet, coffeemaker, hairdryer, iron and ironing board, and many rooms are also equipped with microwave and loveseat. Pets are welcome for a $15.00 daily fee, and we have wheelchair accessible rooms available, as well.